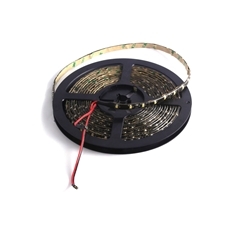 CYRON value priced SCRZ1 LED ribbons offer great ease of installation for long linear runs indoor and outdoor. 3M tape transfer on the back for easy peel and stick. Can be cut every 2 inches. Available in various colors. IF YOU HAVE A WALL DIMMER: Can be dimmed using CYRON dimmable drivers (PS35-MP12D-I, PS90-MPD-I). Dimming on the low voltage side with DIM18 which has a traditional "knob". Dimming on the low voltage side with DIM100RF which has a wireless remote. 30seconds dimming cycle and on/off button.